Day Ranger Shows the Average Daily Range Instantly! Instantly Know the Average Daily Range for Any Market or Time frame. Day Ranger allows you to quickly calculate the average true range of what’s on your chart. It gives you the trend of that instrument, enabling you to track where in the trend you are. Day Ranger also helps you compare markets to see where the best opportunities may be. The trend is your friend. You need to know when to stop and trade with the trend, and you need to know when the trend is about to stop and possibly reverse; or enter a sideways period. Day ranger allows you to know the true range of what you’re trading. You know the average true range – instantly. This process is a tedious, time-consuming process without Day Ranger. You have to find the average, calculate the high, then figure out where you are in relation to that. If you know you’re near the average high of your trend; you’ll trade accordingly. Day Ranger allows you to be more accurate and nimble in your trading. Use the Day Ranger as a way to figure out which markets to trade for the session. Markets tend to move a certain amount during a 24-hour period. The Day Ranger gives you a display of the different day ranges – current day range, yesterday’s range, the five-day range, the ten-day range and the 30-day average range. 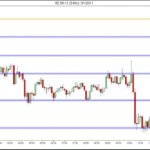 Use these ranges to figure out which markets have been exhausted – they have already moved their regular amount for the day and therefore probably won’t extend beyond that. See instantly which markets still have plenty room to run compared to their average range for that time period, which means there could still be room for that market to make a profitable move. By choosing the markets that haven’t moved very much yet compared to the typical daily range, you give yourself a better chance of catching the move, or the big move, of the day. 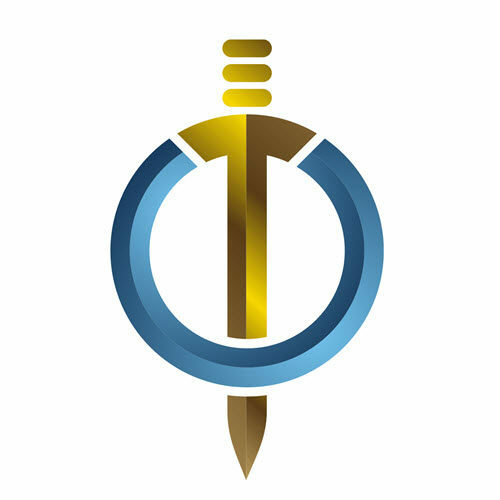 Day Ranger is the tool that exposes the markets that give you a better chance to profit. 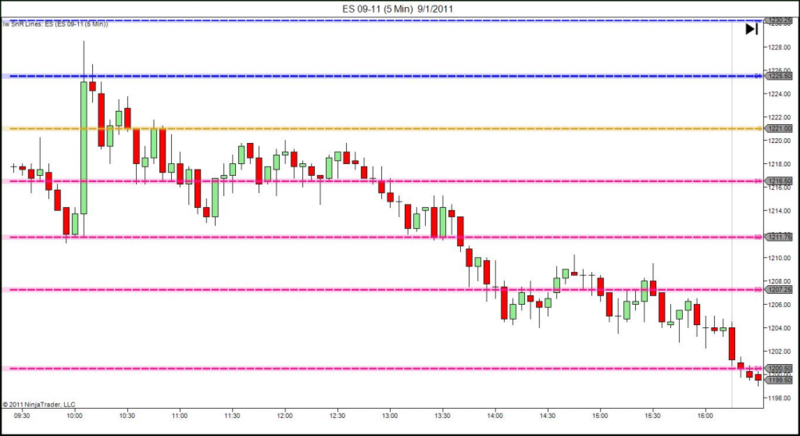 Day Ranger can also show you the daily range trend, an important piece of information. You will need 1 license per trading computer. Example: If you want to install on a desktop, laptop, and a work computer, you will need a license for 3 computers. Each license comes at a discount. Know when the market territory is safe to enter and when it's time to take cover from the "Heat." 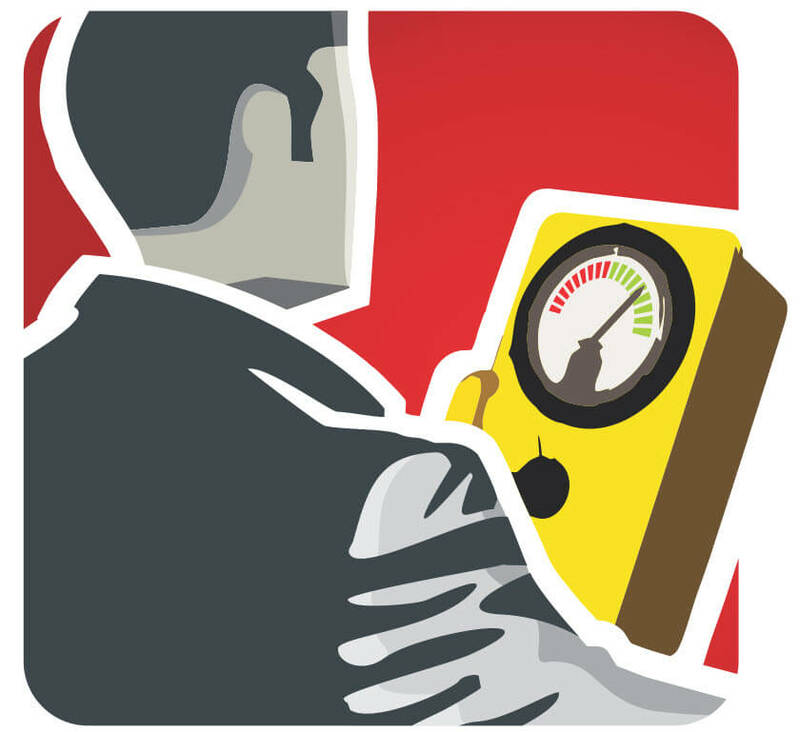 The Geiger Counter was designed to enable you to easily add Buying and Selling Pressure analysis and Time and Sales data to any chart. 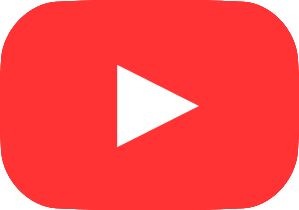 With this indicator you can see the Pace of the Tape and Order Flow Analytics in an easy to understand Tape Speed Monitor format that allows you to quickly Read the Tape. Determine whether buyers/sellers are in control, and when control is shifting. Pinpoint when to enter/exit your positions based on order flow shift. The horizontal display of the tool summarizes bid/ask time and sales data. This is trades at bid or ask and the net calculation. Moving averages are used to more readily spot trends. The net calculation is particularly useful when looking for upward or downward slope - since it shows the pressure moving in the opposite direction from where it was. For example, there is a consistent shift in bid vs. ask pressure at each sample. Finally, the rate at which this display scrolls to the left is based on the time between each trade coming in. This directly shows how active the market is at any given time. The circular gauge display references inside bid and ask numbers. The trend indication element is a weighted look at all the individual indicators combined. It is useful to identify short-term trends. For example on a Mean Renko chart, the Geiger Counter is very good at identifying trend change prior to a reversal shown in the bars. Important Design Notes: 1. Geiger Counter only works with data feeds delivering bid/ask VOLUME data. Typically, this means Futures, Stocks/Equities, FX Futures and some Spot Forex. Please check with your data provider. 2. 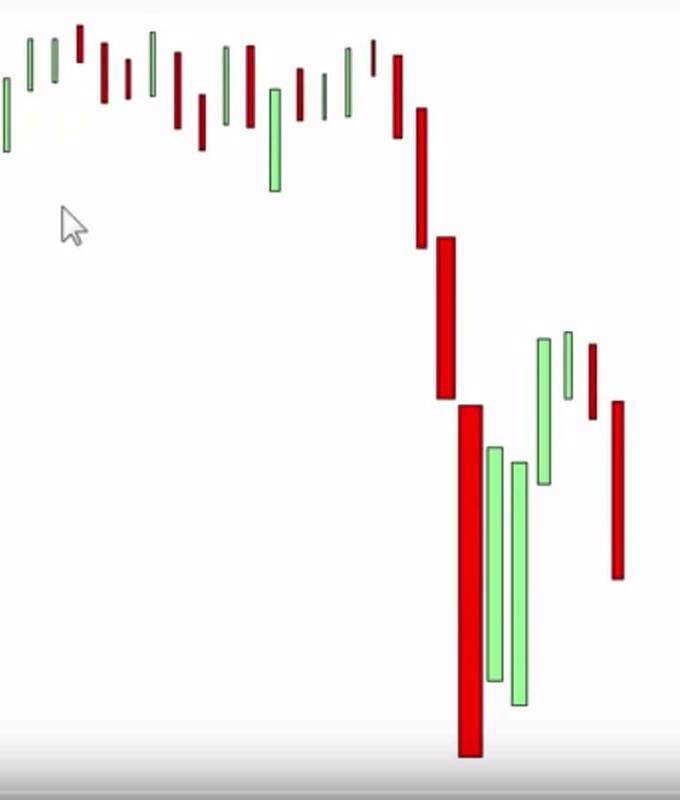 If you use NinjaTrader's Market Replay with the Geiger Counter, it will get out of sync if you fast forward. Due to the precision accuracy of this trading tool, time samples must be done using the real clock. 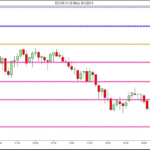 The ORIGINAL NinjaTrader Mean Renko Bars along with a Custom Renko Bar Marker. Two Price Action indicators for the Price of One! FAST, ACCURATE... Simply the Best Renko Bars for Day Trading! The Mean Renko Bars are a totally re-engineered and improved variant of the traditional Renko bar. 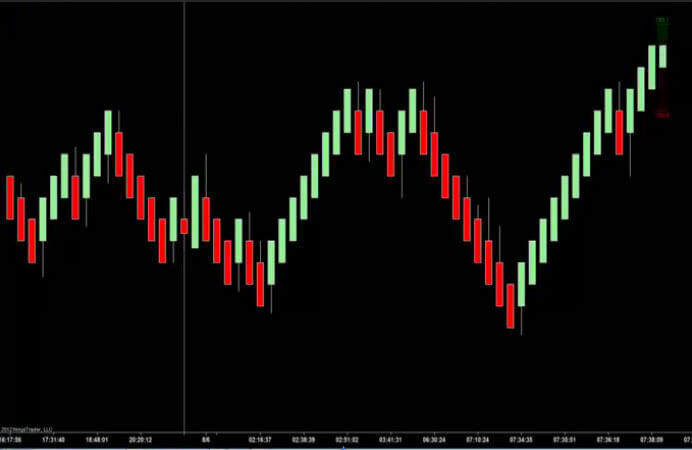 The Mean Renko has all power of the standard NinjaTrader Renko Bar, with the added benefits of proprietary intra-bar calculations. The Mean Renkos are a core component of the Diversified Trading System. They are sure to improve any trader looking for smoother price action without sacrifices market structure intelligence. The LogiCounter is a companion product that gives you predictive insight as to where the next Mean Renko Bar will Form. The LogiCounter provides a visual indication on the current Mean Renko bar to display where the price must go in order to complete the bar. 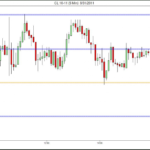 The price value is displayed, as well as a clear support / resistance block to show which direction the bar is likely to close. Keeping a paper based trading journal is hard! Entering trades in a trading journal enables you to view the trades in black and white, rather than just relying on your memory, which for most humans, is a stretch. More importantly, a trading journal allows you to step back and view your trades as a group of trades, and not as individual and ultimately random transactions. This sounds like a lot of work, right? And, if you had to do this all by hand, it would be! This point is where the power of an online trading journal comes into play. Using an online trading journal takes all the tedious work away so that all you are left with is an easy method to track and analyze your progress. With the Tradervue online trading journal, the process of becoming a more disciplined and profitable trader is exponentially shortened. Using an online trading journal such as Tradervue enables you to both, examine each particular trade and also the progression of your trading performance. 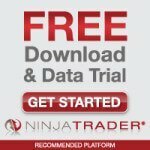 Journal Lync - the NinjaTrader add-on for Tradervue! "An online trading journal is one of the best ways to improve your trading - and Tradervue is the most powerful tool available to track and analyze your trades." 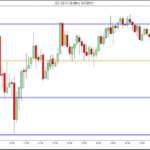 Journal Lync is a NinjaTrader add-on for real-time journaling of your trades into the Tradervue Online Trade Journal! 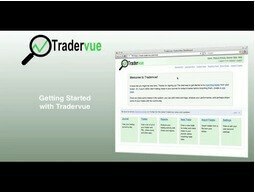 Tradervue provides active stock, futures, and forex traders a tool to help keep an online trade journal, and eliminate the busy work associated with maintaining a traditional paper-based trade journal. Tradervue also offers analytics to help quantify trading performance, potentially leading to the identification of patterns that may have been hidden. Click here to get Tradervue. The last Bar Timer/Counter you will ever need! The New Omni Bar Timer state of the art trade timer gives you more precise timing for entering and exiting markets. 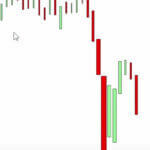 With the Omni Bar Timer you’ll have a whole new way to look at charts by accurately gauging the “pulse” of the market. The new Omni Bar Timer provides a very visual indication of the count down, count up, and relative time left in Custom and Standard bar types. The New Omni Bar Timer now offers the “Market Speedometer” design as well as the option to switch to an even smaller version to keep you focused on that “Hard Right Edge”. When in Count Down mode, will count down the ticks / volume remaining to complete the bar. 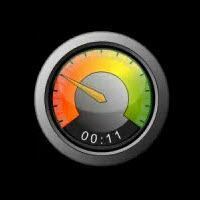 The needle in the gauge shows the percent remaining. When in Count Up mode, will count up the current time of the bar. The needle in the gauge shows the percent to completion. When in Relative To Average Time mode, the average bar time is computed based on the look back input period. Green indicates the current bar forming time is quicker than the average. Red indicates the current bar forming time is slower than the average. Why? Because Support and Resistance is supply and demand in action and supply and demand are the underlying forces that ultimately move the market. Until now, you had to rely on some mystical person who claimed to have a magical view of Support and Resistance requiring special techniques and secret nightly calculations - Not anymore! Erich Senft, long time Support and Resistance expert and resident Indicator Warehouse CTA has cracked the code on automating this process. Indicator Warehouse's Ultimate Support and Resistance Suite is a powerful new indicator suite for professional day traders, created by industry experts in Support and Resistance trading. The Ultimate Support and Resistance Suite provides you with exceptionally precise Support and Resistance Lines for ANY instrument... in ANY Market, giving you the edge you need to perform in all market conditions. Imagine no more poring over your charts, wondering if a particular price point will affect the market. Now you can trade with confidence by taking advantage of our proprietary algorithms that accurately determine which prices will require your attention. It’s like knowing in advance what the market is most likely to do next! The Ultimate Support and Resistance Suite gives you a whole new way to look at charts; More opportunities to trade; More precise times for entering and exiting markets; and very Low Risk/High Reward trading opportunities. Use the Suite as a standalone trading method or to ENHANCE a trading system. With the Ultimate Support and Resistance Suite, you will know what’s happening ahead of time in the world’s most highly traded markets! We think you’ll find them invaluable in your trading! Click on the images below and see for yourself. "The Best Money Management Webinar I have Ever Seen." Watch the video below and learn the three myths of money management that are responsible for traders busting their accounts. "Trade Management is what separates winning traders from losing traders... What amazes traders the most after using the Trade Manager is how much money they were leaving on the table by not having the correct amount of shares or contracts for each trade." 95% of trading performance is based on proper position sizing, which is the percentage risked in relation to the size of your trading account. Trade Manager tells you how many contracts you need to have to maximize your trading results. Stop management and position sizing are the two most critical components that separate winning traders from losing traders. Trade Manager's automated trading features automatically calculate the correct amount of contracts or shares to trade based on your account size and then enables you to place the trade directly from your chart. By the time you exit the trade, you are making MAXIMUM MONEY on MINIMAL RISK. And isn't that the goal? Automated trading and position sizing alone can cure most of the problems that individual traders have. In trading, you’re not paid for analyzing charts and…you’re not paid for placing the order or having the fastest execution platform. What you are paid for is successfully managing the position while it’s in play! Most traders obsess on finding the "best" entry point to get into their trade. But, where is the money being made on your trades? The position size and the exit! Remember, the ONLY thing you can truly control is your risk (position size). You cannot control where the market is going to go. No one can. But, you can remove some of the stress by knowing your risk before you enter a trade and then letting an automated trading tool manage your position once it's in play. In fact, with Trade Manager, you can put on a position and then forget about it. Trade Manager's automated trading functionality will trail your stop(s) for you. Thereby, freeing you up to take other trades. Think of it as having multiple fishing poles in the water at the same time. You exponentially increase your chances of scoring the Big Fish! Do they cut losses short? Do they let profits run? Trade Manager does both of these for you! Trade Manager is an essential trading tool that works with any system or collection of indicators on the NinjaTader platform. It ensures you take the maximum profit from each and every trade you make. Finally, an automated trading tool that truly "lets your profits run" without further risk! Does not start to manage a trade until it catches up with the first Stop placed when a trade is initiated. Once a trade has been initiated, you can change trailing stop types during an active position. Can be used on more than one chart per instrument. ATR: ATR is the default value and can be changed as per the setup instructions in the previous section. Average True Range is a stop strategy based on market volatility. Percentage: Percent is part of the Percent Trailing strategy. 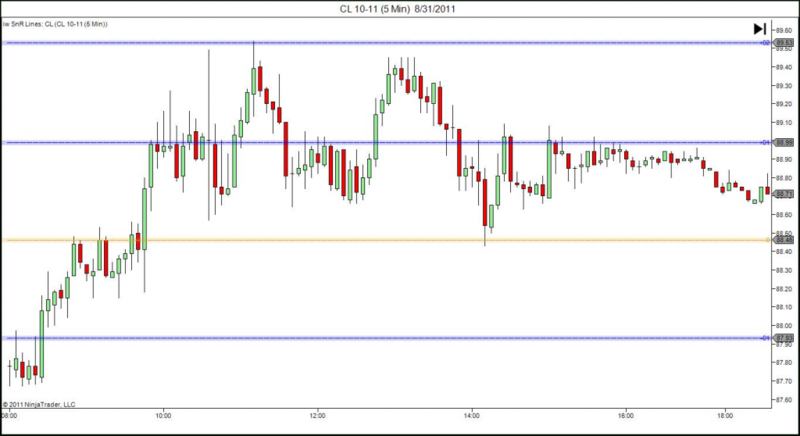 The value refers to a percentage of the high/low of the indicator will use to determine the stop placement. MA: The Moving Average stop strategy allows you to choose from eight different Moving Average styles. Select the style you like from the Type drop-down menu box. SWING: Uses market turning points to trail the stop loss order. 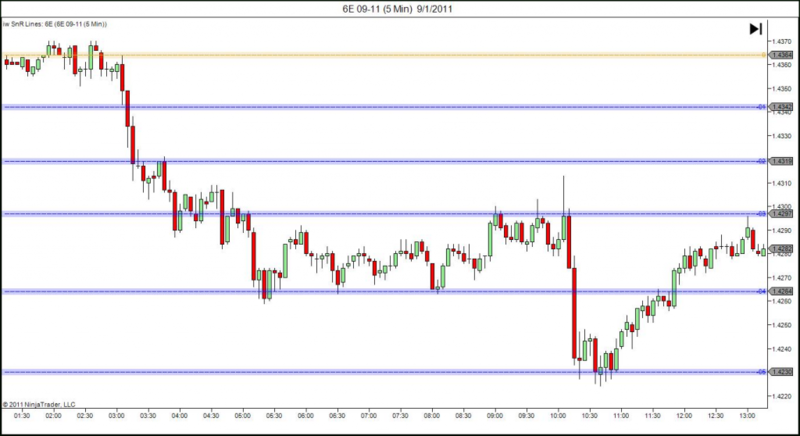 Swing Highs and Lows show where price has found support and resistance and is, therefore, a strong stop strategy. Choose which side of the market you want the stop-displayed by selecting HIGH/LOW from the Type drop-down menu box. BAR: Bar High/Low is IndicatorWarehouse's own proprietary Scalping stop strategy. It is an aggressive strategy designed to take you out of a trade at the first sign of market weakness. PSAR: Developed by Welles Wilder, the Parabolic SAR is an easy, yet powerful stop loss method. Parabolic SAR stands for "stop and reverse" and will trail price as the trend extends over time. Supertrend: A modified ATR strategy and ideal to use with trends to optimize your output. Super Trend moves above or below the price depending on how the trend in progress. It moves with the price as a stop loss but does not "crowd" price during congestion. 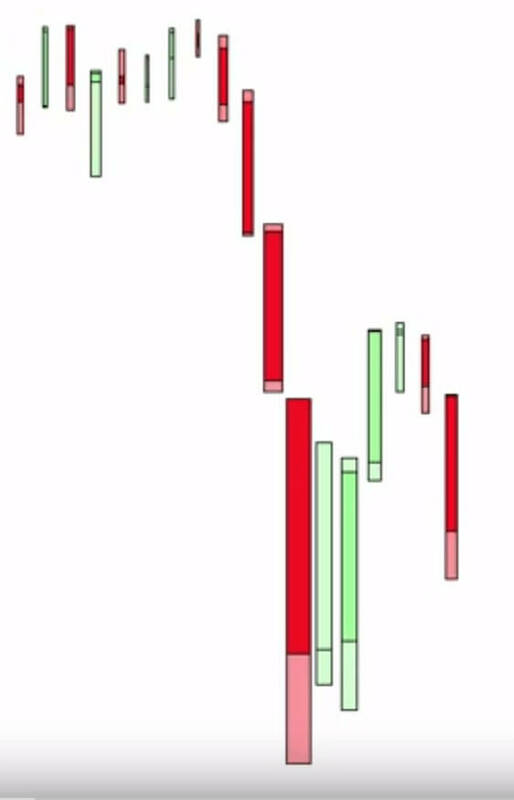 CHANDELIER: Developed by Chuck LeBeau, the Chandelier stop strategy is a trend-following system which dangles a multiple of Average True Range from the Highs during an uptrend and adds them to Lows during a downtrend. FIXED: As the name suggests the Fixed Tick Strategy trails the stop loss order by a pre-set number of ticks. Note: If the FIXED strategy is displaying the stop-loss on the wrong side of the market enter a negative (-) value in the Tick Offset. This feature will "flip" the trailing stop to the other side of the market. In addition to over twelve types of custom trailing stops, Trade Manager also provides BREAK EVEN functionality. The BREAK EVEN button automatically moves a live trade to breakeven +1, which is the default value. However, it can be changed to any positive number. OCO (One-Cancels-Other) orders are most often used to "bracket" trades with a BUY order above and a SELL order beneath recent price action. As the name suggests, when one side of the trade is filled (or canceled) the remaining order(s) are automatically canceled. 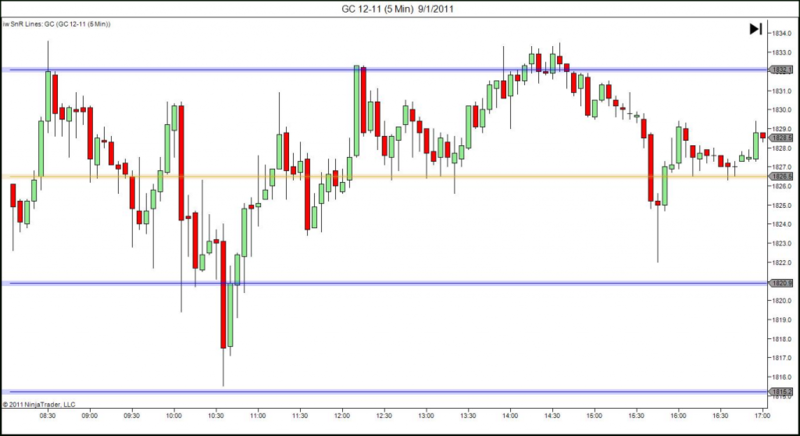 With OCO, you can have as many OCO trades on your chart as you like. Weather patterns tend to repeat themselves, making it possible to forecast future weather. Just think of how your life would be without ever knowing the weather forecast! Caught in rain storms, too much clothing, not enough, bad times to drive, etc. Now think of having a trade forecasting tool which predicts oncoming trading patterns. Trade Forecaster will tell you, much in the same way that a weatherman tells you, what to expect, allowing you to properly prepare your strategy in advance. There's no need to be caught out in the rain - or "chop" as it is in trading. Better yet, wouldn't it be nice to receive the forecast of an imminent trend move? Traders have found this tool to be of enormous assistance by giving them more time to get their trading strategy ducks in a row and identify trade opportunities earlier. It makes for a much more relaxed, safer, and more profitable trading session when you have a running forecast of what's coming at you. Many traders only realize, for example, that they are in the chop when it's too late. Had they known the chop was coming, they could have been ready with a more appropriate strategy. 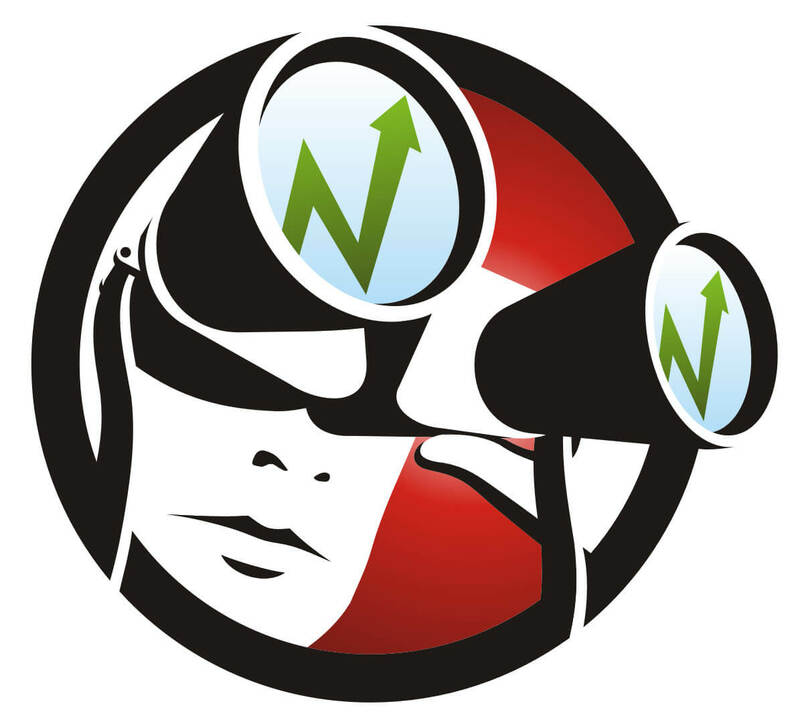 Trade Forecaster will alert you to oncoming scalp, swing or trend trading conditions and will work with any system on NinjaTrader. 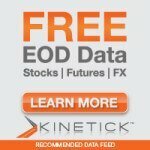 Test the Profitability of Your Strategy and Indicators Instantly Without Risking a Cent! 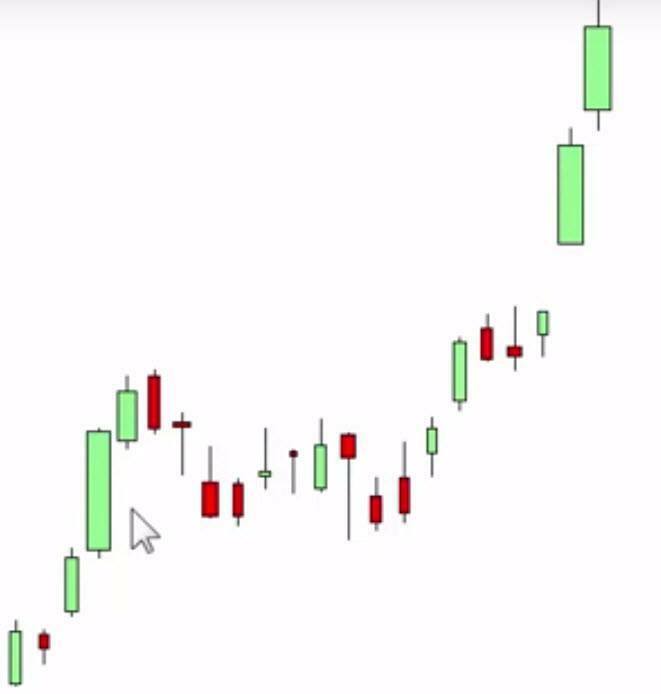 If you have a day trading system or own a collection of indicators, you can instantly find an effective trading approach with Profit Finder backtesting software. 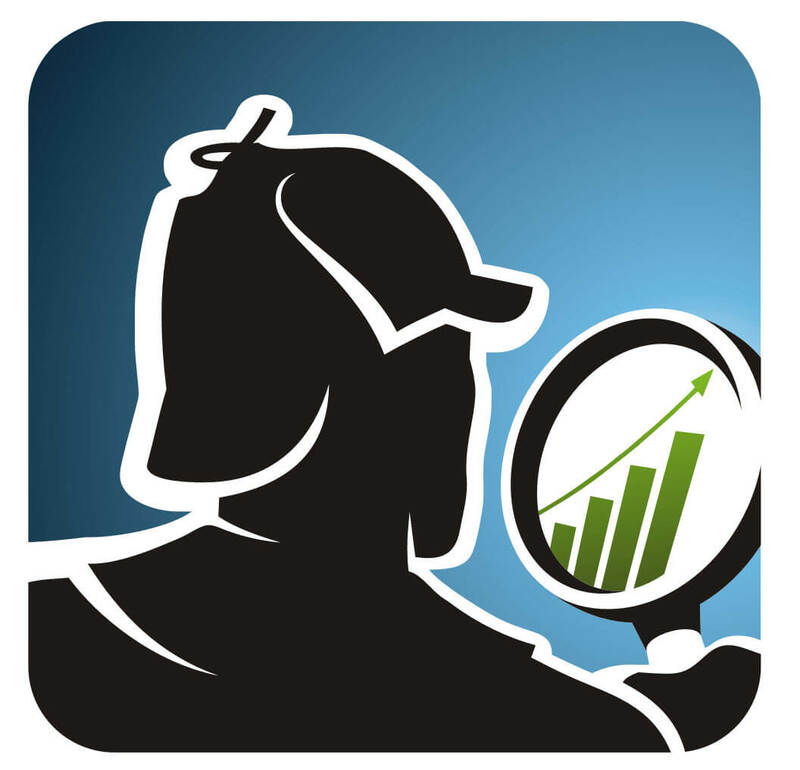 Profit Finder is a one of a kind tool that quickly determines the profit and loss characteristics of any system, methodology or collection of indicators. 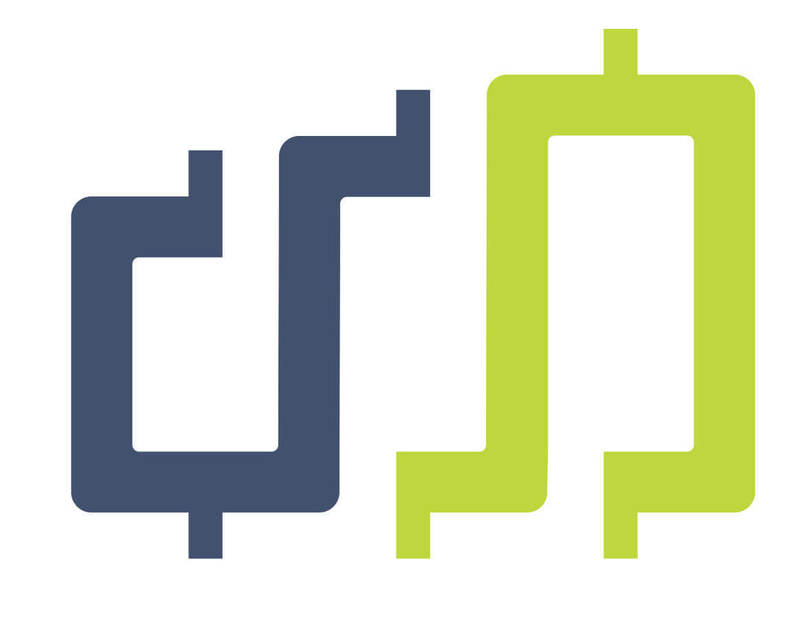 Say goodbye to tedious and time-consuming backtesting software. Say hello to fast results on whether or not your strategy is profitable! Tell Profit Finder everything about your strategy: account size, your ideal entries, and exits, hours you like to trade, number of days you would like to backtest, trailing stop type, profit targets, slippage settings, etc. and Profit Finder will instantly give you detailed results on your gross and net profit, profit / loss ratio, ticks etc. Getting stopped out too early? Getting stopped out early and watching the market then turn around move again in your direction is just one of the common issues that Profit Finder can solve for you. Simply make an adjustment to your stop strategy and Profit Finder will instantly back test that adjustment and give you the change in profit or loss - immediately! Yes, it's that easy. You’ll never have to take another trade again without knowing the backtesting results of the methodology / system you use! Why trade in the dark? Why spend days fiddling with your charts and spreadsheets to get back testing results? Profit Finder does it for you! No matter what collection of indicators or system you are using on NinjaTrader - it works on any indicator(s), any instrument, any methodology. You can analyze signals generated by a mechanical system like DTS, or experiment with signals you manually enter. Either way, Profit Finder gives you the information you need. What if you make an adjustment to your methodology? Don't you need to know immediately if it's going to have an adverse impact on your profits? Of course, you do. Stop guessing. Stop wondering. Stop theorizing, and don't pay expensive testing firms to do it for you. When you use Profit Finder you make solid decisions based on backed tested data so you can trade with confidence. Day Ranger lets you see immediately whether a market is performing "normally." Day Ranger allows you to quickly calculate the average true range of what's on your chart. It gives you the trend of that instrument, enabling you to track where in the trend you are. Day Ranger also helps you compare markets to see where the best opportunities may be. Day ranger allows you to know the true range of what you're trading. You know the average true range - instantly. This process is a tedious, time-consuming process without Day Ranger. You have to find the average, calculate the high, then figure out where you are in relation to that. If you know you're near the average high of your trend; you'll trade accordingly. Markets tend to move a certain amount during a 24-hour period. The Day Ranger gives you a display of the different day ranges - current day range, yesterday's range, the five-day range, the ten-day range and the 30-day average range. Use these ranges to figure out which markets have been exhausted - they have already moved their regular amount for the day and therefore probably won't extend beyond that. By choosing the markets that haven't moved very much yet compared to the typical daily range, you give yourself a better chance of catching the move, or the big move, of the day. Add Volume information to your Charts without adding any distraction or clutter. The Universal Dynamic EquiVolume Bars were designed to be added to a wide range of bar types, including most of the standard NinjaTrader bars and IW custom bar types. This leading indicator will work on any bar type that permits you to change the Chart Style parameter (that includes the NinjaTrader 7 standard types of Tick, Volume, Range, Second, Minute, Day, Week, Month, Year, and some custom bar types including Mean Renko Bars). With the Universal Dynamic EquiVolume Bars, you can quickly add price-volume information to ANY trading solution including the Diversified Trading System, or your system. 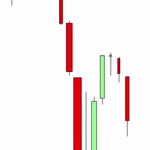 Power Candles that show you the buying and selling pressure going on behind the scenes! The Dynamic Volume Bars made famous by Richard W. Arms Jr., are based on the theory that when there is an active force behind the market (a lot of volume), you should expect a big bar. Universal Dynamic EquiVolume Bars visually display price in a manner that emphasizes the relationship between price and volume giving a visual picture of supply & demand and makes volume easy to interpret. By adding Universal Dynamic EquiVolume Bars to your chart, you get solid Confirmation of a Breakout! 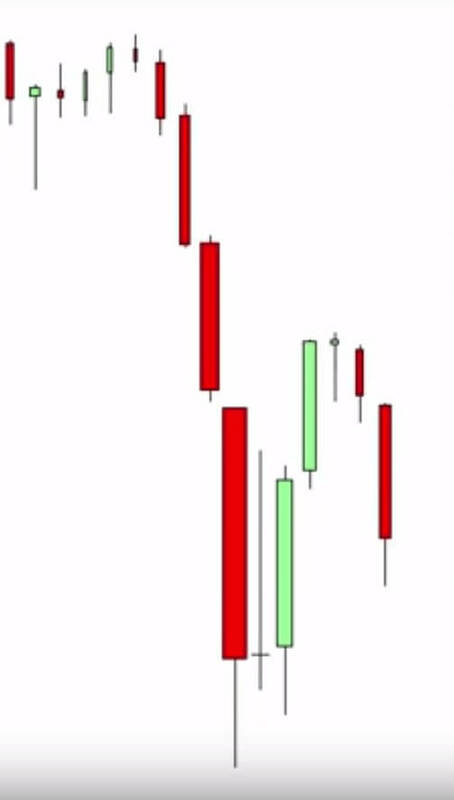 This leading indicator combines price and volume in a two-dimensional candle instead of displaying volume as an "afterthought" on the lower margin of a chart. Using is a simple integrated format, you now have the ability to see the relationship of price to volume without adding any additional clutter to your charts, and there is no need to learn any esoteric market profile theory. 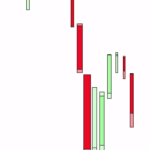 The width of the bar itself corresponds to the volume that's going on the chart. You no longer need any histogram style volume indicators taking up valuable space on your charts. The custom bar width adjusts in real-time according to the volume traded during that bar's time frame giving you the ability to see hidden buying and selling pressure in the marketplace. Traditional EquiVolume - a simple box-style bar where the top line of the box is the high for the period and the bottom line is the low for the period. The width of the box represents the volume for the period. Hybrid EquiVolume - still get the simplicity of the box bar itself, but you can also see in the shadows where the opening and closing prices are. Standard EquiVolume - unless you are a tried and true EquiVolume user, this the bar you will probably use. It has all the volume information of the traditional EquiVolume bar integrated into a standard candlestick format. Anyway you use them, the Universal Dynamic EquiVolume Bars give you all the information you need in a very easy-to-understand, visual format.